Presence is a Re:amaze feature to help you stay in sync with what your teammates are working on. Here's how Presence works. Other agents browsing a conversation will have their avatar appended to the conversation preview. 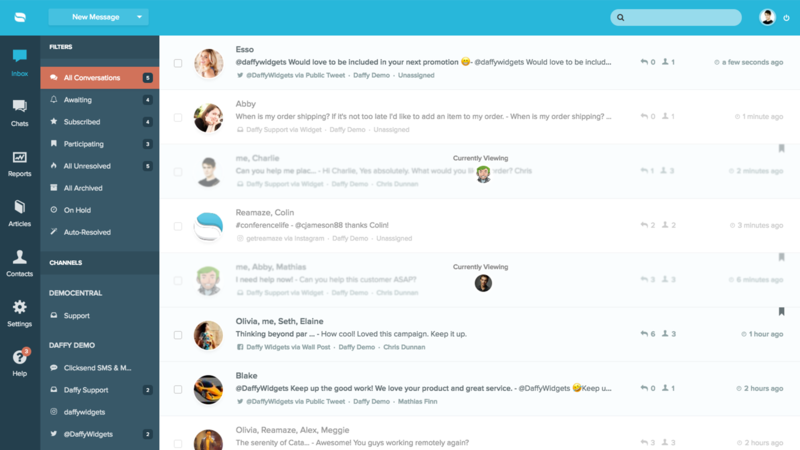 In situations where multiple agents are viewing the conversation, Presence will display multiple avatars. Presence will also indicate whenever an agent starts or stops typing. This added convenience will give you agents the ability to immediately know whether or not something is being worked on. 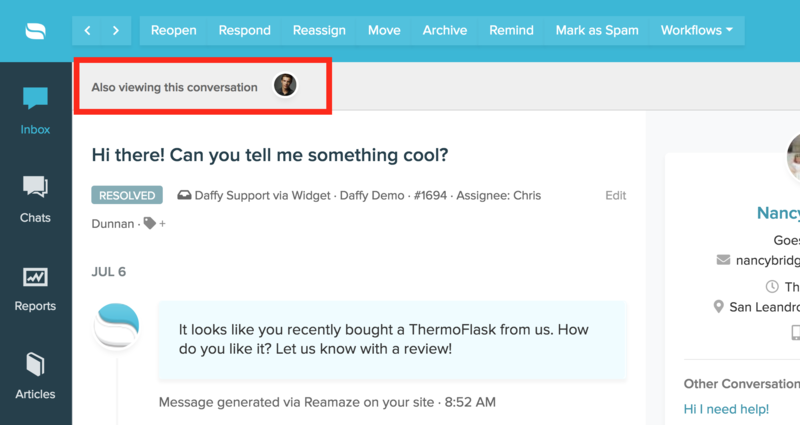 The conversation view supports Presence through a top-positioned navigation bar which shows other agents who are viewing the conversation. A typing indicator also notifies you when someone else is responding in parallel. Presence exists in email based conversations in the form of agent collision detection. When two or more agents send a reply to the same message, Presence will fire off a collision notification to the agent who sent the last message. An option will be presented to the agent to either publish the message or ignore and scrap his/her reply. Collision detection is active for the first 3 minutes of the conversation.